who are creating the companies & jobs fueling a biomass future. They are the plant owners and operators whose fuels come from the forestry, agricultural, and urban wood waste sectors. Collectively, BPA member companies represent more than 2000 MW of generating capacity. Showing 21-28 of 28 results. The California Biomass Energy Alliance (CBEA) is an association representing the owners and operators of the 33 solid-fuel biomass power plants in California, distributed across 19 counties, utilizing forestry, agricultural, and urban wood waste sectors. This represents a combined generating capacity of 600 MW reliable, baseload, renewable power that can be counted on and scheduled. CBEA members provide environmental benefits through the elimination of open burning of agricultural and forest wastes; reduction of forest wildfire risks as a result of the removal of slash, deadfall, understory and non-merchantable trees; and diversion of wood waste from landfills. Biomass power is approximately 1½% of the overall power generated in the State, and 17½% of all the renewable power. California’s biomass power industry represents over $2.5 billion in investment, largely in rural areas, and provides needed jobs at the plants and in the fuel supply infrastructure. Biomass is key to California’s growing green economy. 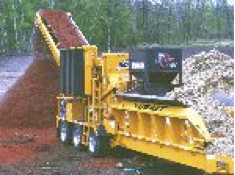 Bandit Industries, Inc. is a leading global manufacturer of unique hand-fed and whole tree chippers, stump grinders, waste reduction recyclers, and high-powered forestry mowers. Starting in 1983 with just six employees and a single wood chipper in a converted warehouse, the company has grown to serve professionals in a variety of industries, including logging, tree care, land clearing, wood waste recycling, and biomass production. Bandit has taken an active role in support of biomass energy, both through specialty equipment designs and lobbying/PR campaigns. Bandit whole tree chippers and Beast horizontal grinders are used in biomass applications around the world, producing chips for boiler fuel and wood pellet production. Over 50,000 Bandit machines have been sold in more than 50 countries, all of them designed and manufactured at their company headquarters in Remus, Michigan. Babcock & Wilcox is a global provider of power equipment and consulting and engineering services. The company builds, maintains and repairs steam boilers and auxiliary equipment, including environmental controls, modular reactors and other nuclear power components. They provide a host of management and consulting services across these technologies, including field engineering, upgrades, and research and development. Babcock & Wilcox employs about 18,800 people across North America and at locations in Europe and China. Atlantic Power is a leading publicly traded, power generation and infrastructure company with a well-diversified portfolio of assets in the United States and Canada. Atlantic is incorporated in British Columbia, headquartered in Boston and has offices in Chicago, Toronto, Vancouver and San Diego. Its power generation projects sell electricity to utilities and other large commercial customers under long-term power purchase agreements, which seek to minimize consumer exposure to changes in commodity prices. The net generating capacity of the Company’s projects is approximately 2,140 MW, including 159.1 MW of biomass power. The Company’s assets consist of interests in 31 operational power generation projects across 11 states and two provinces, one 53 MW biomass project under construction in Georgia, and an 84-mile, 500 kilovolt electric transmission line located in California. 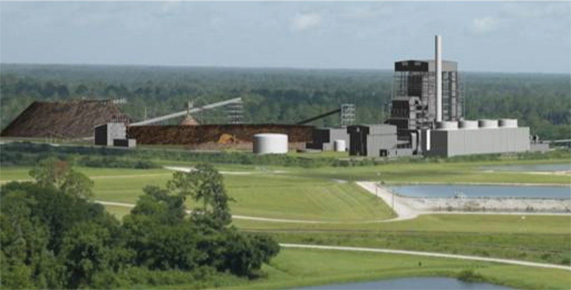 Atlantic Power also owns a majority interest in Rollcast Energy, a biomass power plant developer with several projects in various stages of planning or construction. Atlantic Power’s corporate strategy is to generate stable, contracted cash flows from existing assets to sustain a dividend payout to shareholders while increasing the value of the company through accretive acquisitions in North American markets. The Company’s dividend is currently paid monthly at an annual rate of Cdn$1.15 per share. Atlantic Power has a market capitalization of approximately $1.6 billion and trades on the New York Stock Exchange under the symbol AT and on the Toronto Stock Exchange under the symbol ATP. 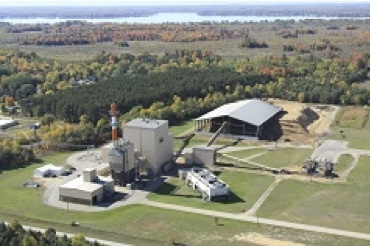 The Cadillac Project is a 39.6 MW biomass-fired facility located in Cadillac, Michigan, that commenced commercial operation in 1993. The Project was acquired by Atlantic Power in December 2010. The Williams Lake Project is a 66 MW biomass-fired generating facility located in Williams Lake, in south-central BC. The Project commenced commercial operations in April 1993. Atlantic Power indirectly owns 100% of the Project. in Barnesville, Georgia, approximately 70 miles southeast of Atlanta. In October 2010, Atlantic closed non-recourse project-level bank financing to fund the construction of Piedmont. Atlantic owns substantially all of the equity interest in the project. The Calstock Facility (the Facility) is a power generation facility that uses steam turbines to produce electricity. It is located on the north side of Highway 11 on lots 26, 27, and 28, Concession 4, in the Township of Stoddart, in the District of Cochrane, Ontario. It is located approximately 30 km west of Hearst, Ontario. The site on which the Facility is located is 31 hectares, with the developed area of the site accounting for approximately 23 hectares. Since 1975, our Atlantic Combustion Technologies has focused on solving the elusive problem of hard ash build-up in combustion systems. Over the years, many businesses have found this problem to be difficult to solve comprehensively and consistently, and our fierce dedication to it has become our wheelhouse. Our more than 150 years of combined experience and expertise has helped us to develop CoMate Ash Modifier, a remarkable technology which is deployable to virtually any high pressure combustion system burning any fuel or fuel mixture. It has been engineered from the ground up, both in product composition and application method, to deliver to our customers significant and consistent return on investment. 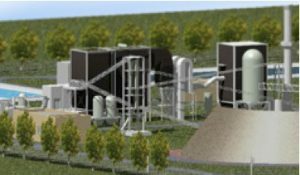 Simply put, we have taken the problem of ash deposition and subsequent emissions, and effectively solved it in a way that saves money. ARP-Loyalton Cogen LLC is an 18MW biomass power generation facility located in Loyalton, Sierra County, California, adjacent to three of the largest national forests in the western US. The plant was designed and built to provide steam, heat and power to a large sawmill on the 212 acre property. The sawmill was fully interconnected to the CAISO and sold excess power to the grid throughout the year. During the last half of 2017, after being closed for more than 7 years, the plant has been refurbished to OEM condition and will commence full-output generation into the CAISO under a long-term contract with a group of California municipal utilities. More than three decades ago, The Powell Group realized the need to use the hulls removed from rice during milling at their Farmers Rice Mill. Agrilectric is world-known for being the first to design and build a commercially operated rice hull-fired power plant of this kind. It has successfully produced energy and quality rice hull ash since 1984 with an in-service rate of over 94 percent. The 12-megawatt plant consumes about 330-tons of rice hulls every day. 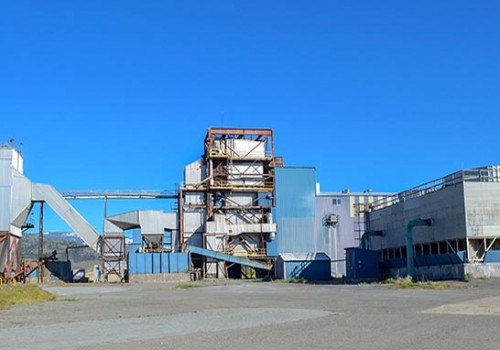 By burning rice hulls, Agrilectric has taken an environmental liability by removing 115,000 short tons of rice hulls from the landfill and turned it into an asset. Agrilectric provides all the power needed to run the adjacent rice mill and the plant itself with the excess (approximately 75%) being sold to the local power company.